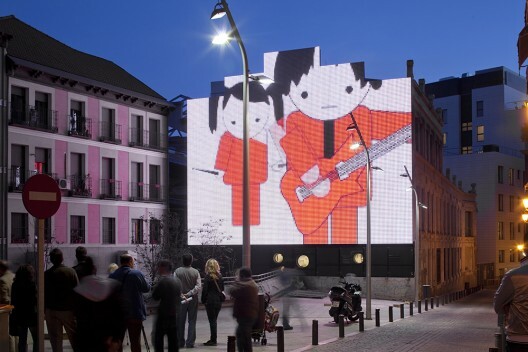 Medialab-Prado is close to Paseo del Prado Street, the Prado National Museum and the Reina Sofía National Contemporary Art Museum, which constitutes the institutional cultural axis of Madrid. 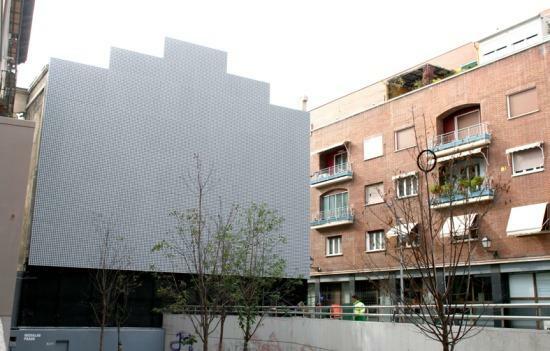 Its neighborhood is a residential area, now embedded into a gentrification process caused by the increase of museums, art galleries and fancy shops. 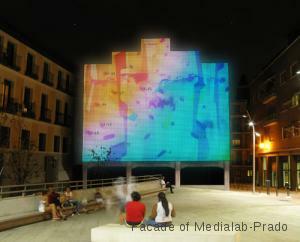 The screen is installed on the facade of the industrial Medialab Prado building, facing the Plaza de las Letras.